Are you looking to plan your Jamaican honeymoon? From a variety of resort packages to tours and romantic cruises, Jamaica offers you the world's most grandeur and exquisite experience you could ever imagine. There are many different variables for you to choose from while planning a perfect Jamaica honeymoon on the white sandy beaches and in luxurious resorts. Jamaica appeals to its leisure travelers by molding together the rich and vibrant history, unmatched beauty and the pulsating Jamaican reggae music into one magical experience that cannot be fully absorbed by just one visit. It is always calling out to one's heart to come back for more. Third largest Caribbean island, this lush green tropical heaven has almost every natural attraction possible, from rivers to forests, plains to mountains, caves to many miraculous and spectacular waterfalls. Jamaica also has the most beautiful widespread coastline in the world. All this sums up to the passionate couples' experience into lovely days and romantic snugly nights, complementing your Jamaican honeymoon to perfection. Keep in mind your shopping, budgetary and travel requirements while choosing a resort. No matter your choice of place in Jamaica, there are many resorts, lodgings and tour packages of all kinds for couples to choose from. There are all-inclusive resorts to small inns and even packages in between for those on a budget. Some of the best resorts in Jamaica include Riu Resort, Ritz Carlton, Sandals Whitehouse and the Holiday Inn Sunspree. The most important part in planning your Jamaican honeymoon is choosing which part of the island to go to. You have to choose from among different locations based on your preferences. It is always good to write down what you prefer and then see which location suits you best according to your needs. The MoBay: The international airport is located here in Montego Bay so if you are planning a short honeymoon, this is an ideal place to stay with excellent dining and a rich heritage. The Jamaican tourist capital has many beautiful natural and man-made attractions to offer. The Falls of Ocho Rios: Rich in some of the world's most beautiful waterfalls and gardens, Ocho Rios, the garden center of Jamaica hosts tourists as well as a large number of Jamaican residents. The Exotic South Coast: Secluded from crowds, this region offers peace and quiet to couples planning a getaway and looking to spend some alone time together. The Magnificent Kingston: Famous for theater, dance and art, this Jamaican metropolis is rich in culture. The Blue Mountains resort offers a peaceful getaway to honeymooners. The Glorious Runaway Bay: Famous for golf courses and scuba diving, this small but popular area is loved by couples looking to play some sports while honeymooning. The Beautiful Port Antonio: Known to the world as "the other side of Jamaica", this untouched paradise offers you seclusion and is filled with many exotic natural attractions. Stated to be 'more beautiful than any woman he had ever seen' by the American actor, Errol Flynn, Port Antonio stuns its visitors with beautiful beaches, marvelous hills and the mesmerizing azure sea. The Sunset Capital, Negril: The sunset capital of Jamaica is one of the most captivating naturally preserved places on earth. Perfect for couples, Negril offers seven miles of white sandy beaches and a breathtaking backdrop for one of the most romantic honeymoons you could think of. Planning A Honeymoon On A Budget? Choose flights available after the weekends and search for the best discounted honeymoon trips. Staying close to the international airport in Montego Bay would help cut traveling expenditures. Go for resorts or hotels that are offering all-inclusive packages for couples. These packages include meals, drinks and lodging, all for a reasonable price. 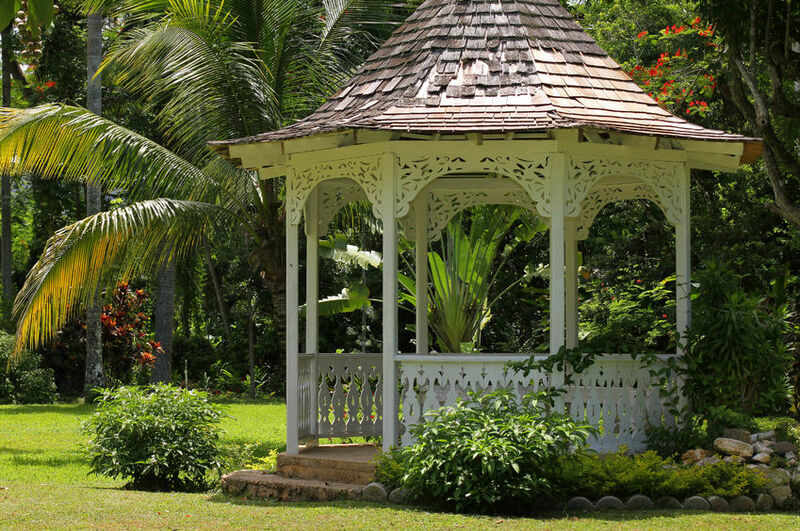 Jamaica is full of spirit and beauty and a perfect honeymoon hotspot. This romantic haven would prove to be the most memorable experience of your life. So couples pack your bags and get moving on your Jamaican honeymoon. Jamaica promises you unforgettable memories and a honeymoon you can boast about all your life. A Honeymoon in Jamaica is very romantic, the perfect place to enjoy yourself and a great time to get to know each other. But, did you stay at a luxurious hotel, a budget hotel or an all inclusive? Did your honeymoon lived up to your expectations?